Shelly is lifelong resident of the beaches and attended Fletcher High School. She attended Georgia State University in Atlanta. After college she worked in the marketing field for a national marine engineering and personnel placement firm for 10 years. While in this field she was promoted to a management position and gained invaluable business experience. In 1990 she entered the Property and Casualty Insurance field and shortly after started her own agency located in Jacksonville Beach specializing in auto and home insurance. Focusing on providing excellent customer service has enabled the agency to continue to grow with the local economy. Shelly still lives at the beaches and has strong family and personal ties to the area. Participating in the great water life of our area enjoying boating, fishing and beaching. Tammy was born in Mansfield PA. The daughter of a soldier she lived in 6 different states before her last move, to Jacksonville Florida in 1988. She has worked in the Insurance business in Jacksonville for over 10 years developing a vast knowledge of both Auto and Home Insurances. She received her 4-40 license in 2004. A keen runner and three time participant in the Gate River Run she also enjoys cycling and walking. 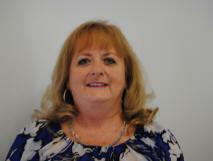 Tammy enjoys spending time with her grandchildren which also keeps her plenty busy. She is a member of First Christian Church of the Beaches. Christina was born in Beaufort, SC., when her father, a US Marine, was stationed at Parris Island. The family all moved back to Jacksonville with her at the very young age of 2 months old. All her relatives are true natives of our great city, and although not born here, Christina considers herself to be both a native and at home in Jacksonville. A mother to a teenage boy and girl she has been a licensed Insurance Agent since 2006. She has experience working for both captive and independent agencies. She is happy to be with State Insurance Agency where she is able to shop for clients amongst many different Insurers providing them with the best coverage at the lowest rates, whether for their home, auto, renters or flood insurance.